Tips o help you enjoy the ride! It was that time again this month... for my annual boogie boarding vacation at the beach! While I was out in the ocean looking for the perfect wave to catch, it hit me that there are a lot of parallels between boogie boarding and a music career. There are lots of lessons the ocean can teach the singer. Your board needs to be strong enough to ride. After many years of using white styrofoam boards (they looked like cheap cooler material) that barely lasted for the vacation, I bought a much better board, designed for more serious riding. It cost more and has dings but it's still going strong after several years of use, and gives me a much more satisfied ride. Your voice needs to be strong enough to sing. To be at 'ride' level, you need to develop your physical voice by practice correctly til your voice has the stamina required. There is no substitute for full voice singing with correct technique! It may cost you some time and money for training and dedicated practice, but your voice will last much longer without strain, and gives you the possibility of a much better career ride. You need to know how to ride. You have to start somewhere. BUT... if you are a novice boogie boarder, stick with the easy waves near the shore before you go out and try to ride the big ones. The wipe out can be painful and humiliating (ask me how I know!) I had to learn not just to jump on a wave but to move with it, and to wait til the initial breaking was done, then quickly to shift my weight forward and angle the front of the board down as I rode. Also I had to learn the coordination to steady the board over the ever changing wave as I went. You need to know how to sing. Of course you can sing as a beginner... and the more performance experience you have, the better! BUT... If you try and sing live or record your voice for significant career makers hoping your performance will turn into a good career ride, you better have your 'chops up' as they say. YouTube is full of bad video performances that have the power to end careers before they begin. The wipe out can be painful and humiliating! I learned (and teach) the fine art of balancing breath support and control, a concept I call 'pulling instead of pushing' the voice. It's also vital to keep an open throat and to connect and communicate authentically through the song. I call this combined synergistic vocal training method Power, Path and Performance. You can't predict with certainty which waves will give you the best ride. I've jumped on some waves that jumped back on me!) However, there are some indications. Catch one too soon or too late and the wave breaks at the wrong time to ride. Catch one too small and it won't take you very far... catch one too big and it can really injure you. Catch a good one just as it breaks and you can ride all the way to shore. My favorite one was the first one I caught this year: It was a double... a high one with another just behind it strengthened by a sandbar, creating ideal conditions of power and forward motion. I rode all the way to shore, actually running my board aground! Learn to read the music industry. There are no guarantees in the music biz. It has broken many a talented heart. But... preparation, research, planning and developing the right network of industry professionals can vastly increase your 'luck'. If your music isn't what the major industry seems to be looking for, try creatively marketing and promoting your unique music another way. You could ride the industry as the next leading edge instead of just another artist clone. The current music industry has created much wider opportunity for all ages of artist and sub-genres of music to succeed in ways impossible not that long ago. Do remember that any deal - small or large - offered you should be thoroughly vetted by an entertainment attorney who can help you avoid a financial or emotional wipe out. I want to dig in a little farther about areas of timing you need to understand for a music career. You need to know when to wait or go concerning the song, the vocal recording, and your showcase performance. So you’re recording your project and looking for and/or writing songs right for the project. Listen to your gut, and get feedback from at least one other trustworthy, informed source such as your producer, manager, label or entertainment attorney, as well as non-industry individuals who understand the ears of your typical audience. Is each song you’re considering right lyrically and melodically and groove-wise for your voice, the type of project your doing, your demographics you are creating this project for? And most importantly… is it emotionally compelling, moving, exciting? If you’re writing it, is it truly finished well? If not, wait for it. If so, go for it! If it's not your song, don’t stall…get permissions and mechanical licenses from all writing/publishing parties so you can go for it! Are you completely confident in your vocal ability to sing your chosen songs? Have you learned them so well you don’t need lyrics? 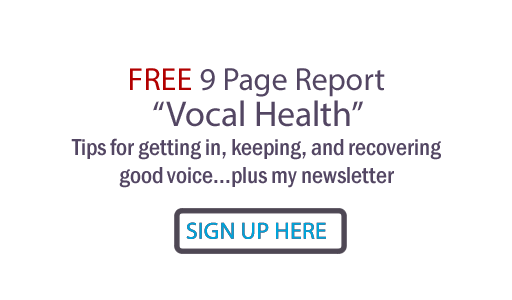 Have you done some vocal lessons to iron out any potential problems and explore vocal options to use in the vocal booth - experimented with vocal licks, melody variations and alternate phrasing til you have it like you want it? Have you arranged to have your vocals produced by someone you trust can get the best out of you? Are you in good health, physically and mentally strong? Do you know specific techniques for singing in the studio? If not, wait for it. If so… get that studio and producer booked -- and go for it! After the project is recorded, mixed and mastered, there comes a time for its debut performance. There is usually a significant performance set up to which music industry professionals are invited, with the hopes that the artist’s career will be somehow furthered. This can be a public show or a private invitation-only show; in either case I would suggest you consider it a showcase performance. Sometimes this event is called a record release party, at which the project is either played from the finished recording or performed live. For a showcase performance, it is wise to rehearse more, spend money/time on fliers, table decorations, food and other accouterments and take pains to make sure you are looking and sounding like the artist you want them to experience. This performance should be your personal best. It is also wise to make sure you invite the right people for your business goals, and that those people are actually coming. Too many times artists spend so much money/effort/spirit on a showcase where no industry professionals show up. Unless you are rehearsed and know who’s coming, wait for it. If you’re ready and you get multiple confirmations ‘they’ are coming, go for it and don’t look back! You may ride that wave all the way all the way to glory! Too much concentration on the next wave keeps me from enjoying the ocean I'm in. Boogie boarding gets me out into the ocean, makes me breathe deeper, puts me in the sun that feeds my mind and spirit. It's not just about the perfect wave. It's about the joy of the whole process and reality of riding. Worrying about the music business too much keeps me from enjoying making the music. Making music is ALWAYS a ride. It feeds the soul, connects us to people and gives our voices meaning. If you catch a ride in the music biz, large or small... don't forget to be joyfully present with the music you're making... that's the only way to make it a truly great ride! Have you ever ridden a boogie board? What are your experiences (and lessons) with the music industry? I'd love to hear your story in the comments! This is a very good analogy. I especially like and agree with your last point; making music IS a ride! Boogie boarding! Fun! Great picture.